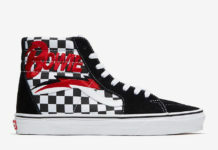 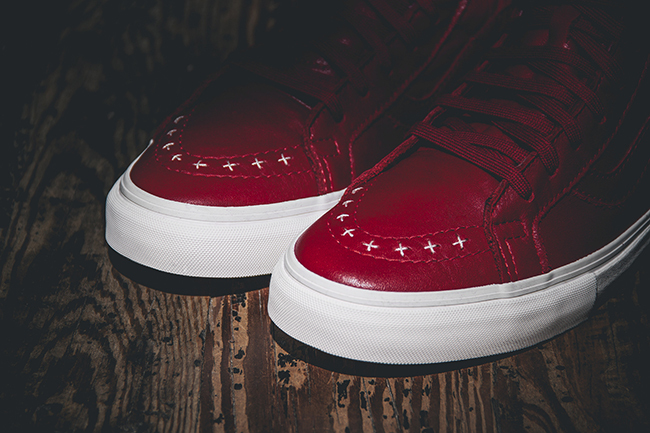 WishATL will be joining forces with Vans Vault to release a two pair collaboration. 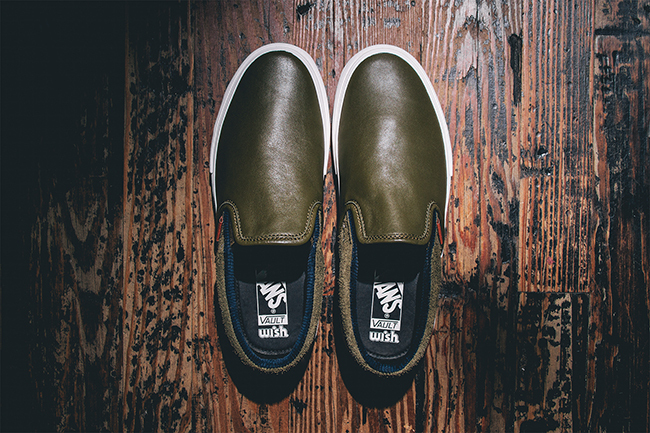 Here we have our first look at the Wish x Vans Vault ‘Fine Wine & Olives’ Pack. 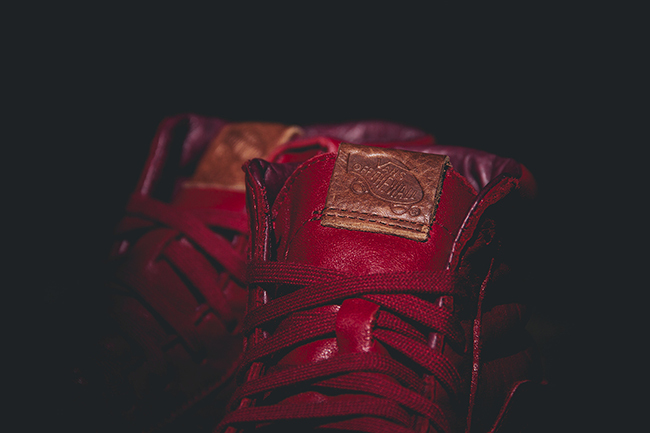 Wish played around with some ideas but came to ‘luxury meets the Atlanta streets’ for inspiration on the Wine & Olives pack. 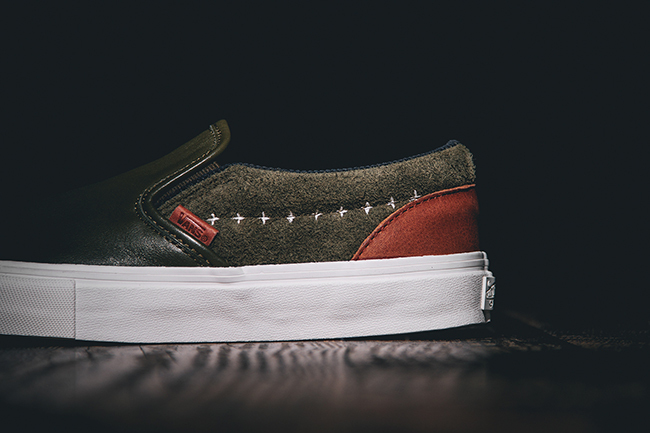 The Sk8-Hi LX features a premium leather with tonal Rio Red treatment while the Classic Slip-On is accented with Dark Olive and built with terry cloth and corduroy lining. 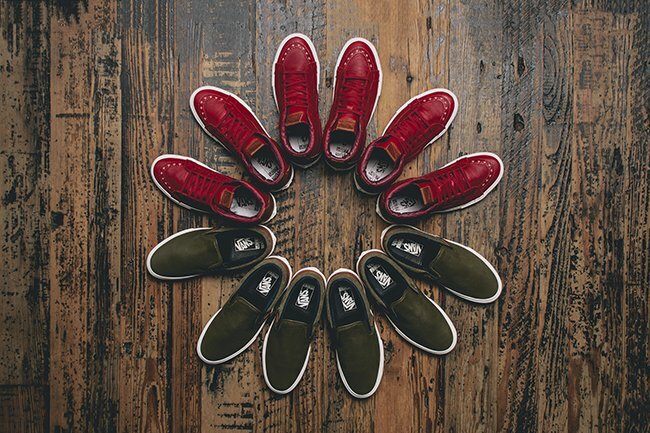 Other details include a white cross stitching and the Wish ‘S-Man’ logo embossed on the heel. 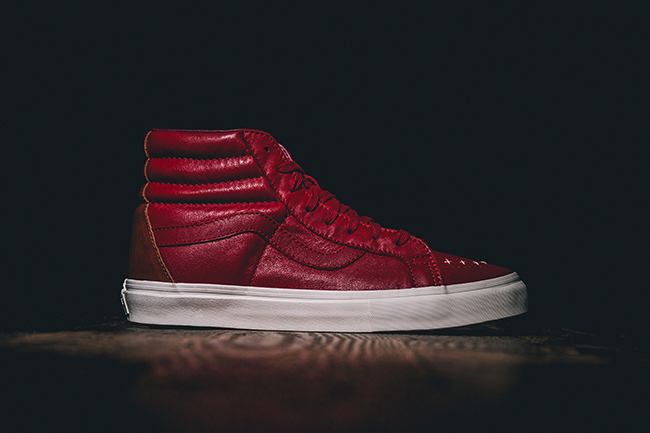 The collaboration with Wish and Vans known as the ‘Wine & Olive’ pack which includes the Classic Slip-On LX and Sk8-Hi LX will debut on November 13th, 2015 at WishATL. 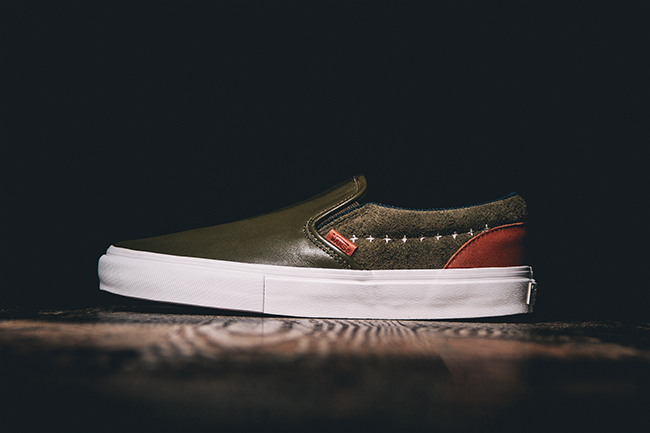 Retail price for the Slip-On ‘Dark Olive’ is $85 while the SK8-Hi ‘Rio Red’ is priced at $120. 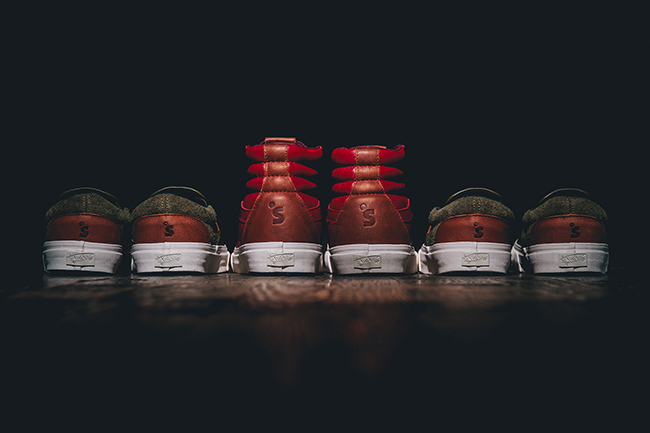 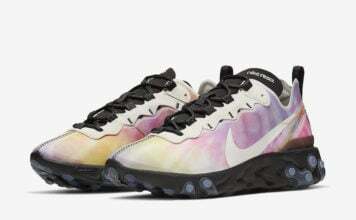 Get a closer look at both pairs by scrolling below.